At 08:00 hrs transfer from Moshi/Arusha to Mommela gate where the climb starts. Walk for about 4 hrs to Mariakamba Hut-overnight. (Alt.2500 m). After breakfast, trek for about 4 hrs to Saddle Hut,overnight. (Alt.3500 m). 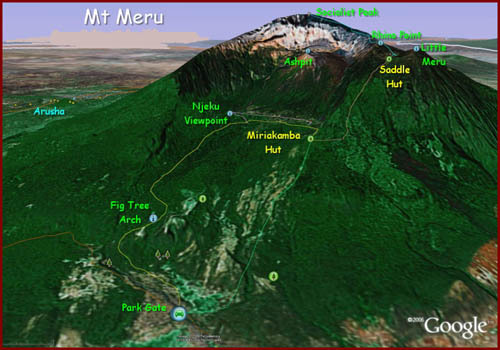 After breakfast, trek for about 3 hrs to the summit (Alt.4566 m) rest at the summit for a while, then descend down to Momella gate where we will again pick you up and provide your transfer back to Moshi/Arusha.